Sentenced to six years in prison, Malik (the amazing newcomer Tahar Rahim), 19 years old and alone in the world, cannot read or write. His first day in jail, he is cornered by the leader of the Corsican gang that rules the prison (Niels Arestrup), who gives him a series of “missions” to carry out. Malik toughens up and gains the gang leader’s confidence in the process. But the fast learner grows into his role too well, becoming more dangerous and powerful than his mentor. This entertaining thriller is also a compelling social commentary on illiteracy, immigration and prison life in France. 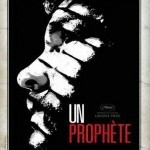 Un Prophète won the Grand Prix at the 2009 Cannes Film Festival. 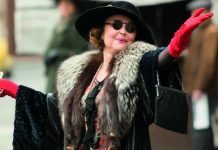 After the sudden shutdown of their factory, laid-off women workers led by Louise (the incomparable Yolande Moreau, who won the César for Best Actress in 2009 for Séraphine) are determined to get back at him. 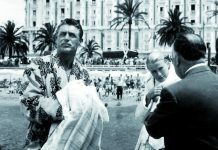 They decide to pool their trifling severance money and hire a hit man, Michel (Belgian actor Bouli Lanners), to kill the company’s owner. Dim-witted Louise and hair-trigger paranoid Michel team up to locate him, but in these days of global capitalism, the task proves harder than it seems. A hilarious, dark and surreal revenge comedy. Bilal, a 17-year-old Kurdish boy, has traveled through the Middle East and Europe to join his girlfriend, newly immigrated to England. His journey comes to an abrupt end, however, when he is stopped on the French side of the Channel in the city of Calais. Undeterred, he decides to swim across, and fortuitously meets Simon (Vincent Lindon), a swimming instructor who is going through a divorce. To impress his estranged wife, Simon gives Bilal shelter and swimming lessons, even though he could be arrested for aiding an illegal immigrant. Welcome fueled many debates in France with its politically controversial stance. Unanimously acclaimed by the critics, this powerful and heartbreaking drama became another box-office success for Lioret, the director of Don’t Worry, I’m Fine. Lola (newcomer Christa Theret), nicknamed LOL by her friends, lives the hectic life of a typical 14-year-old: She falls in and out of love, spends hours on her cell phone with her friends, grows more and more independent and has less and less patience with her divorced mother, Anne. Meanwhile, Anne, whose own life is no less complicated, wonders what became of her sweet little girl. LOL tackles with humor and frankness the complexity of a mother-daughter relationship when the dreaded teenage years strike. The film stars Sophie Marceau in the role of the mother, 30 years after her debut as the iconic 1980s teenager in La Boum. 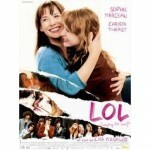 This pleasant comedy with a real-life feel was a big hit in France (second on the list of top-grossing French films in 2009) with teenagers and their parents alike.